White color is often equated as the symbol of peace, eloquence, joy, innocence and happiness. In several cultures around the world, white represents optimism, purity and enlightenment. With such positive attributes associated with white, it is no surprise it is by far the most popular color among a large number of interior designers and home improvement experts. The best thing about white color is that it can never go out of fashion and regardless of what is in trend, no other color is preferred universally than white. 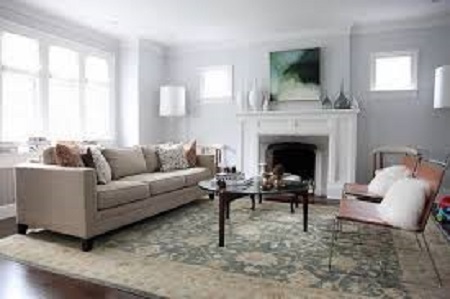 An all white home interiors may look mundane and unflattering it is therefore essential that you add different shades of white to break the monotony. Although, it is true that white is a beautiful and elegant color on its own, you can mix in some silver or glass pieces amidst your white interior designing theme, it would take the beauty of your home a new notches higher. While refurbishing your home interiors with white it is pivotal that you remember the basics. White is naturally reflective color and it has the ability to bounce lights off the walls into the room. Thus, it creates an airy and pleasant atmosphere. Another important thing to know about painting your with white is that, the shades of while will make your room appear larger than its actual size. If you wish make your room appear larger still, you can paint your ceiling and the skirting with a lighter shade of the white that you have used to paint your side walls. You must know that all whites have some hint of another color. If you want to add some shade to your white, remember that warm whites look good with neutral colors, whereas, the cool white works best with bright and vibrant colors. 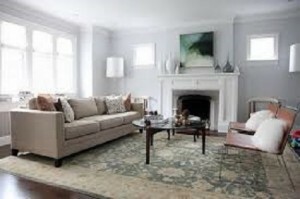 It is advisable that you use warm whites for living room and bedroom. This would help you create a very peaceful and tranquil environment. You can use cool whites for your bathroom and kitchen. This would make the room look attractive as well it would provide a good contrast to your living room and bedroom. You can add a splash of fun with your white interior by playing around with the texture. You can use different textures for different rooms while still keeping your white them intact. You can create a wonderful contrast with a smooth and rough texture on the opposite walls. Thus, home improvement techniques with white are aplenty. Use your own imagination and creative skills to come-up with a unique home decoration plan that suits your taste. Be the first to comment on "Essential Tips to Decorate your Home with White"